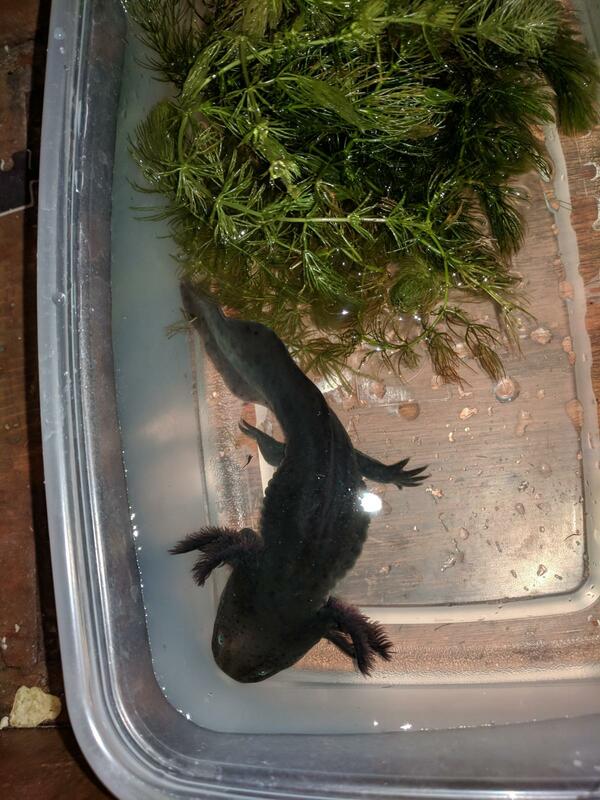 Hello everyone have any of you had the pleasure of caring for these beautiful fun amphibians? 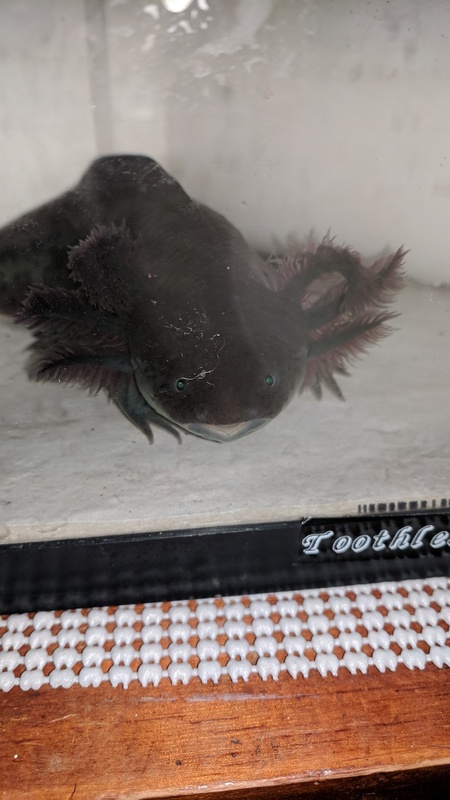 If not this is toothless she's a melanoid green florescent protein axolotl that exhibits dwarfism. She's 10 months old and mostly fully grown at this point. That is really cool!!! I want one!!! 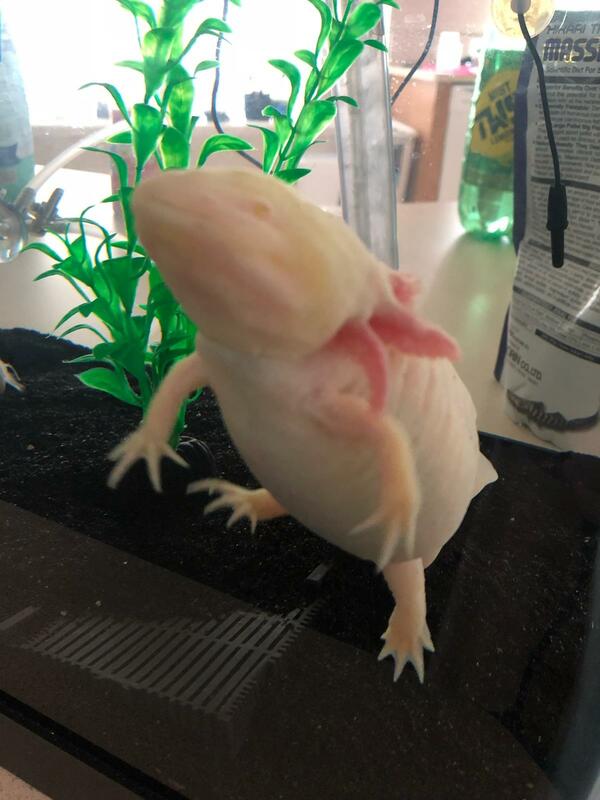 Who knew an oversized salamander could be that expressive!! Hell yeah! I have an albino GPR. How long have you have your? What it is is a salamander tadpole. 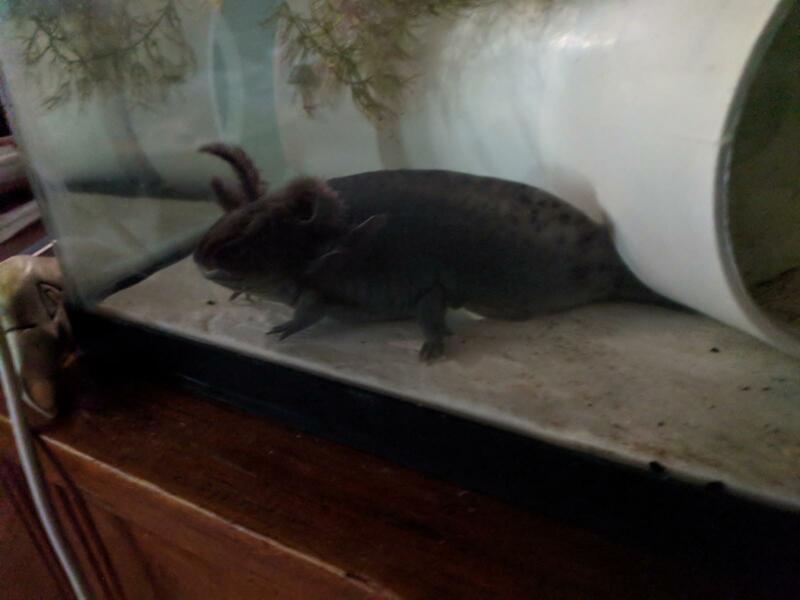 The ones we have as pets have evolved to not produce the hormone to change into a salamander. In the wild northern tiger salamanders lay eggs in slow moving water or seasonal pools. A few of those eggs hatch and one or two might find that they have gotten large enough to not need to goto land to find enough food or the for some reason it didn't goto land. They can sexual reproduce as a tadpole as well. 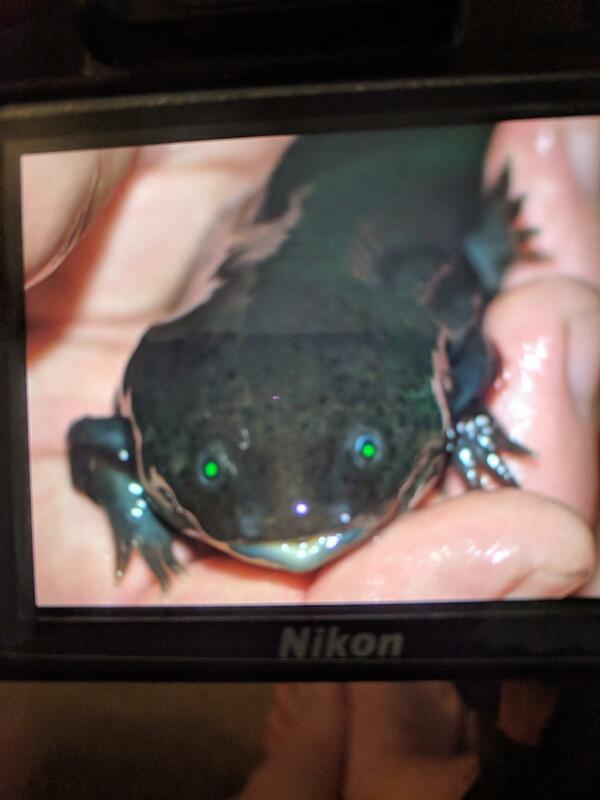 What you found was most likely the northern tiger salamander in noetency so it's still larvel. And earthworms are the staple food so great job! How long did it live for you?